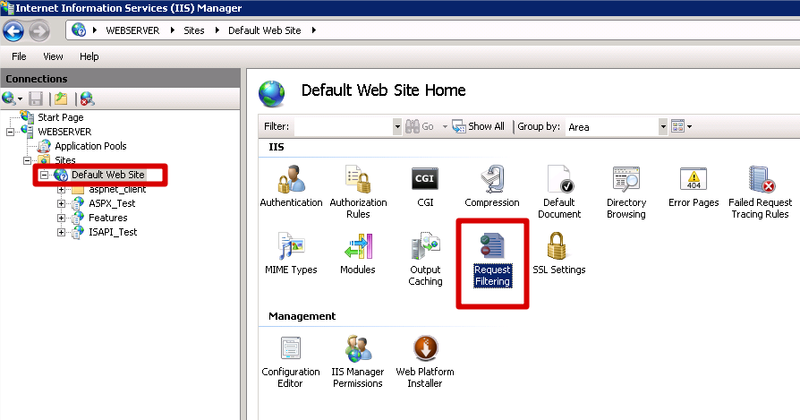 If you are planning to deploy your IntraWeb application as ISAPI extension or ASPX Library, and you have file uploads (using the new IWFileUploader control), probably this topic is for you. 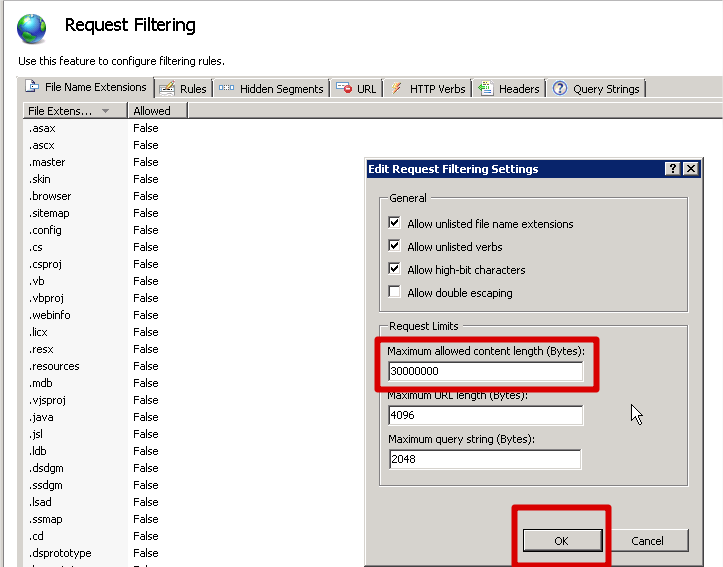 IIS comes with a default upload limit of 30 million bytes (approx. 28.6 Mb). If you are able to upload a 28 Mb file, but can't upload a 30 Mb file, then the default limit is active and you may have to change it. This default limit is a security measure of IIS. 2.1. Open IIS manager console. 2.3. On the right panel, click on "Edit Feature Settings..."
2.4. 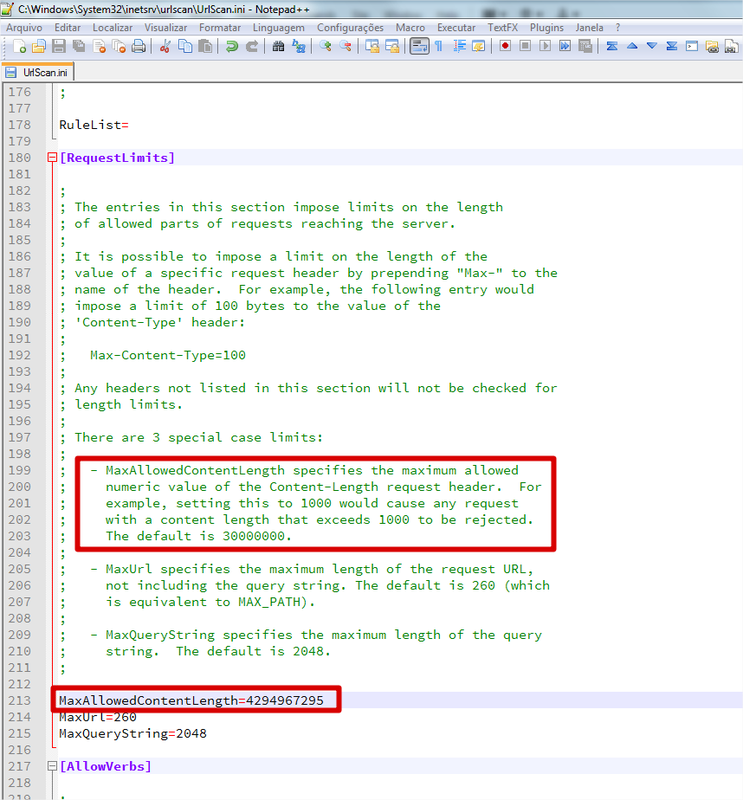 Now change the value named "Maximum allowed content length (Bytes)" to the desired value. Please note that you should have the default 30,000,000 bytes value in place. 2.5. Click OK and then restart IIS. The file upload should work now, respecting the limit you have specified in step 2.4 of course. 3.2. Save the URLScan.ini file and again, restart IIS.